(Bloomberg) -- They started their college tours years ago, wealthy parents towing their children to Stanford, Yale and other elite schools in pursuit of the best -- and most prestigious -- education money could buy. 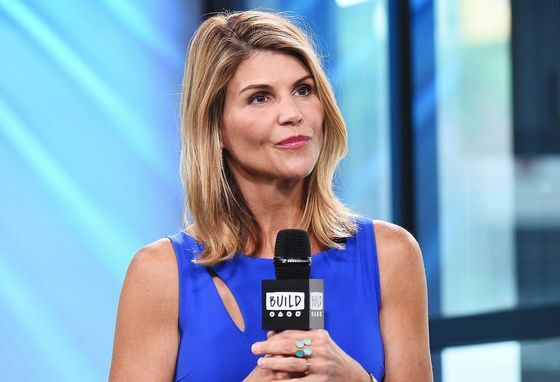 Now they’re on the road again, this time appearing in federal court in Boston on Friday as the clock ticks down on plea bargains for their alleged role in the biggest college admissions scam the U.S. has ever prosecuted. And it isn’t sweetheart deals the prosecutors are offering. They’re taking a hard line during plea negotiations, seeking guilty pleas to felonies, lawyers involved in the case said. The government has given defendants only a few weeks to accept a plea or face indictment and possible additional charges, they said. On Friday it said in a filing that it’s preparing to charge others in the case. The first wave of parents, 15 of them, began to appear at noon before U.S. Magistrate Judge Page Kelley, who set bail and addressed other preliminary issues. “I’ve spoken to several of them. They are in shock,” said Justin Paperny, a former stockbroker who was jailed for securities violations and now coaches white-collar defendants on handling life in prison. Parents are already discovering they don’t have control over the courtroom. In court, the judge ordered them not to talk to their own spouses and children about the case. 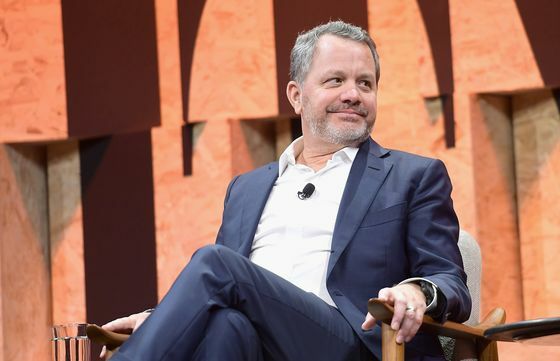 Bill McGlashan, a former top executive at TPG who was fired after he was charged, was told he can’t travel to Mexico on a family vacation. Among the parents was Arizona real estate developer Robert Flaxman, who was caught on tape acknowledging Singer’s remark that “our books show there was a $250,000 payment for [your son’s] side door into USD” through a University of San Diego coach, prosecutors said. The “side door” was Singer’s term for bribing test administrators to fix scores and coaches to put applicants on recruitment lists, whatever their athletic prowess. All told, prosecutors say, 33 parents showered $25 million on exam administrators, a surrogate test taker and a corrupt university sports coaches to get their kids into Yale, Georgetown, Stanford and other exclusive schools. Their conduit was college counselor William Rick Singer, who pleaded guilty to racketeering and then secretly recorded discussions with parents. None of the colleges or students were charged. In a sign of prosecutors’ aggressiveness, a grand jury on Tuesday indicted the Colburns for conspiracy to commit both fraud and money laundering, after they balked at a felony plea deal that could have cost Colburn his physician’s license, Hooper said. The money-laundering conspiracy charge could add months to a prison sentence if the Colburns are convicted. Prosecutors claim they transferred $24,000 in stock to a foundation run by Singer to bribe the test proctor who allegedly corrected their son’s answers on the SAT. Other parents are accused of paying hundreds of thousands of dollars to sports coaches to get their kids coveted spots as recruited athletes, sometimes when they scarcely played the sport. Hooper said prosecutors offered the Colburns the prospect of little or no prison time if they pleaded guilty to a felony and says he will now seek a separate trial for the couple. “They’re playing hardball,” he said. A group appearing at 2 p.m. included McGlashan, caught on an FBI wiretap planning, prosecutors say, to cheat his son’s way into the University of Southern California. At 4 p.m. a third wave appeared, with venture capitalist Robert Zangrillo among them. Paperny, the consultant to accused white-collar criminals, said his first question to parents has been what they wanted of him. “Their answer is, ‘I don’t want to go to prison. I can’t do it,’” said Paperny, who was once a broker at banks before he was sentenced to 18 months for conspiracy to commit fraud. Some parents are planning to fight. Also appearing Friday were a Napa Valley vineyard owner, a former private equity chief and an international gambling magnate. In the end, most parents are unlikely to wind up with long prison sentences, if any, legal experts have said. Under federal sentencing guidelines, parents who admit their guilt may be treated more leniently than those who go to trial. The idea of even a few months behind bars -- or, say, anything approaching the 33 to 41 months that indicted former Yale soccer coach Rudy Meredith faces after his guilty plea Thursday -- has left some stricken. As for the Colburns, prosecutors are requiring both parents to plead guilty while offering as an incentive little or no jail time, Hooper said. Along the Boston waterfront on Friday, parents may have felt an extra chill, somewhere between their walk past a palisade of TV cameras at the front doors of the Moakley federal courthouse and their appearance in Courtroom One. “That situation is particularly challenging for anyone, but for those who are used to being well treated by society, there’s some level of almost feeling offended they’re being subjected to this,” said David Mayer, a professor at the University of Michigan whose expertise is in social and ethical issues in organizations. Paperny said one potential client blanched at the idea of apologizing to victims. “What victims?” he said the client told him. “It’s a kid working three jobs trying to get into USC,” Paperny said he told the client. In a city with its share of high-profile cases in recent years, including the Boston Marathon bombing and the prosecution of mob boss James “Whitey” Bulger, the college admissions scandal exercises its own fascination for parents of college-age kids and the public at large. Court administrators had to institute an online reservation system to handle the myriad of news outlets seeking seats in the courtroom. Additional police have been posted on the sidewalk to keep the peace as defendants try to make a quick getaway after court amid videographers and photographers. All the parents are free on bond. In a court filing Friday, prosecutors told the judge that they expect to bring charges against additional people. They didn’t say identify the people or say how many. But in opposing the release of wiretaps to a defense lawyer for one of the parents, they said the government “expects, in the near future, to charge and arrest” other people. Other parents charged in the case, including actresses Felicity Huffman, best known for the long-running ABC series “Desperate Housewives,” and Lori Loughlin of the sitcoms “Full House” and “Fuller House,” are scheduled to appear in federal court in Boston on Wednesday.